Why have a PDO Thread Lift at Therapy House? 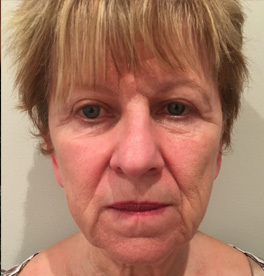 If you have mild to moderate sagging skin around your neck, cheeks and jowls, and you would like to lift your face without having a surgical facelift, then a PDO threads lift may be ideal for you. 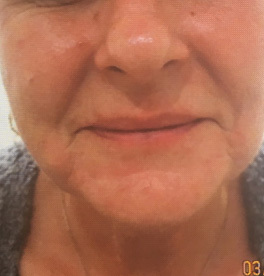 This treatment is a step up from wrinkle reducing injections and dermal fillers, and more effective and long-lasting than a non-surgical facelift. It creates a natural and dramatic effect by re-contouring your face and boosting your skin’s elasticity. During a PDO threads lift, we advance fine PDO threads across pre-marked contours of your face. Your body then responds to the presence of a foreign body – albeit one made from the material used for surgical sutures – by producing new collagen, which, in turn, creates a subtle but effective lift. The PDO threads themselves safely dissolve into the surrounding tissues over time. 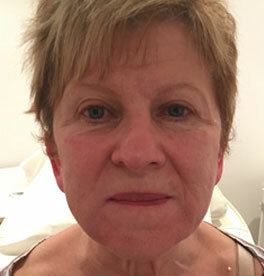 PDO therapy can be used on the cheeks, brow, jawline, neck, nasolabial folds, marionette lines, arms, thighs and abdomen. It is vital to have your PDO thread lift performed by a suitably trained and experienced medical professional who will carefully assess your case and provide the information, advice and follow-up support you need for the best outcomes. A PDO thread lift is an effective cosmetic technique to lift and tighten sagging skin tissues by stimulating collagen production. As explained above, during the treatment we advance fine, absorbable threads made from polydioxanone (PDO) into the subcutaneous layer of your skin using small needles. PDO threads have been used safely as medical sutures for more than a decade. The presence of these threads in your skin causes micro-injuries that trigger collagen production and tissue contraction. The threads gradually dissolve and will be absorbed into your body over approximately six months, leaving new collagen in their place. With a PDO thread lift, we can use mono threads to create a superficial lift or cog threads, which can be placed deeper in your sub-dermal skin. These systems give us the scope to address different issues and adapt the lift for your individual case. What happens during a PDO threads treatment? Before your PDO threads treatment, we will inject local anaesthetic into the treatment area so that you don’t feel any discomfort during the procedure. The PDO threads are then introduced using a micro-needle, and advanced along pre-marked lines that we feel will give you the best outcomes. How soon should I be able to see the results of my PDO threads treatment? You should be able to see a visible lift in the treated areas straight away. 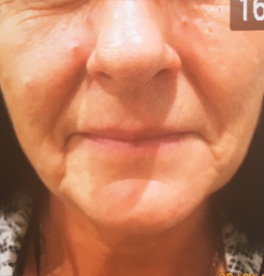 However, the results of your treatment will continue to improve over the next two to six months as new collagen grows around and between the threads to further lift and tighten your skin. The lifting effect is at its peak after six months, but the overall effects of the treatment should last for between two to three years. No surgical procedure – no matter how minimally invasive – is without risk, but the level of risk is often down to the expertise and experience of the medical professional carrying out your procedure. Although not as invasive as other lifting procedures, your face is likely to feel sore and look swollen and puffy for a few days, with possible bruising that will last about a week. A risk of small collections of blood (haematomas or seromas) under the skin. Mild infection at the site of the thread insertion, although every effort is taken to avoid this. Scarring from the insertion of the needle is minimal but possible, particularly in patients with dark coloured skin; you should wear a high factor sun block to minimise the risks of scarring. There have been some cases where the thread end has worked its way out of the entrance to the skin. We can remedy this by trimming the threads. In some cases, people are able to see the threads through the skin. Again, this can be remedied by removing and replacing the threads. Because a thread lift works without removing any excess skin, you may notice some slight puckering, rippling or bunching of the skin post-treatment. We will usually try to hide this in the hairline or behind your ears where it won’t be noticed. Sometimes puckering can be resolved with a gentle massage, but you should not do this yourself – please speak to us for advice. Most people need around a week to recover from this procedure, although you should avoid strenuous exercise for two to three weeks. After any treatment, we’ll give you detailed aftercare instructions that relate to your procedure, so you know what to do and what to expect. We’ll also explain what activities you need to avoid and for how long. Dawn will want to see you for a follow-up appointment seven days after your PDO thread lift, then at one month and three months to monitor the results. Want to know more about PDO Threads?